I've said it once and I'll say it again...sports fans or not, there's not a person out there that cannot appreciate a good inspirational sports story, is there? Rooting for the underdog, watching the player and/or team overcoming seemingly insurmountable odds...what is not to love? And when the story is based on a true story? Even better! 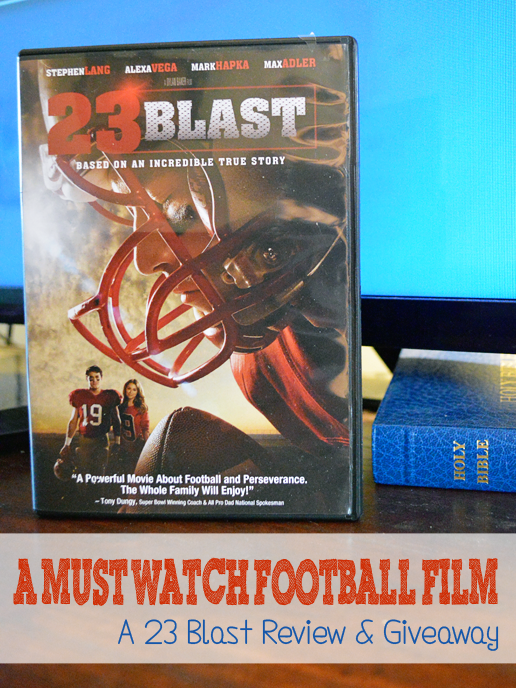 Which is why I could not be more excited to share with you another great example in the new movie 23 Blast! In addition to enjoying inspiring sports stories, as a mother to a child with special needs there is something particularly wonderful when its a story of a differently-abled individual overcoming these obstacles and proving the naysayers wrong. Now, my son may not have any physical limitations holding him back as Travis did, but he will inevitably still face the naysayers. He will have people tell him that he will not succeed and that he cannot do something because of his autism. Quite frankly, there is too much ignorance in this world to believe he will not. But people like Travis Freeman or my friend Jen Bricker who have overcome these physical differences to succeed in the world of sports where physical fitness is key give me stories of hope to show my son that no matter how differently-abled, the only limitations we truly face are those we set upon ourselves! Of course, with the PG-13 rating due to brief alcohol it may not be quite appropriate for him just now at seven years old, but it is certainly one we will go back to when he's a bit older. This is truly an amazing story of a boy who refused to let his limitations allow him to give up on something he was passionate about. Can you imagine suddenly losing your sight and then being asked to give up something else you loved, that made you YOU? I certainly could not, it would be easier to feel sorry for myself and fall into a downhill spiral! But Travis kept fighting. He kept playing. Despite the struggles, despite the naysayers, he DID IT! Amazing! I loved this movie and found it was a really great one to watch with your (older) kids, athletes or not! It's ideal for watching at home, with your team or in your small church groups! In fact there is even a #23BlastBowl campaign to make it even easier, complete with discussion guides! You can learn more and check that out here.